Do you have trouble falling asleep and staying asleep? Do you awaken several times during the night and then drag through the day with no energy? Do you often wake up more tired than when you went to bed? Do sleeping pills fail to give you the sleep you crave—and then you feel drowsy from drugs in your system? You’re not alone. 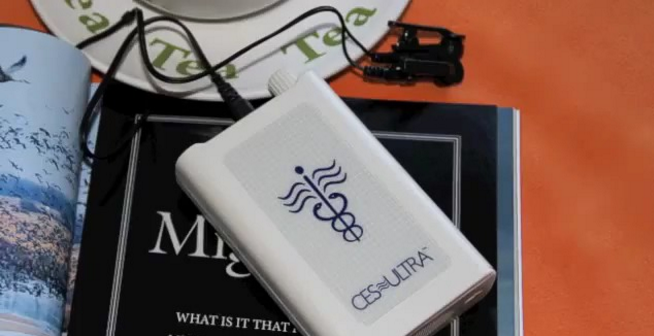 But now you can enjoy restful sleep with CES (Cranial Electrotherapy Stimulation). Even if you’ve suffered from insomnia for years and your brain’s neurochemistry (NC) has become severely out of balance, CES can get you back into a new way of thinking and feeling. You need to change your brain’s neurochemistry and rehabituate to the proper level. You can do that by treating the problem, not just treating your symptoms. As with depression and anxiety, insomnia creeps up on you gradually. It took time to get to where you are now, and it'll take a little time to get back. But now you have real hope of sleeping soundly once again. You can look forward to getting the rest that you deserve. One medical treatment center reports that after just one week of using the CES Ultra, insomnia patients are sleeping twice as long as before. After 3 weeks, they generally sleep at least 5½ hours at a time. After one month of using the CES Ultra, they’re sleeping around 7 hours per night. Everyone who purchases the CES Ultra has access to full telephone support from the professionals at Progressive Awareness Research Sdn Bhd. Ask us your questions or discuss your concerns. Get help adjusting the treatment to your specific situation so you can achieve maximum results. You have nothing to lose and a world of restful, refreshing sleep to gain. Contact us today to learn more about how you can say “good-night” to insomnia and “good morning” to feeling great once again. My body had actually lost its ability to fall asleep naturally and now, just the thoughts of going to sleep had become a great source of daily stress and anxiety for me. So bad was this problem that when it was actually time for me to go to bed ... I would lie there wide awake for hours. The CES Ultra gave me my life back, and I feel like a new person again. Several months ago I suffered with severe insomnia. I couldn't get more than 3 or 4 hours of sleep a night, and sometimes I couldn't sleep at all. I tried all kinds of sleep medications and supplements without success. I saw a neurologist who specializes in sleep problems, but she was of little help. I did some research on the internet and came across studies with CES. I decided to buy a CES Ultra. Within 2 weeks I was able to get 7 hours of sleep a night. I used it every day for two months and during that time I had no insomnia. Now I find that using it 2 or 3 times a week is sufficient for me to get a good night’s sleep. I am using [the CES Ultra] most nights for an hour or so ... It has worked well for me and usually gives me about 6-7 hours of solid sleep. . . One thing I have noticed is that my mind is a bit sharper, which is such a blessing at 81 years old!